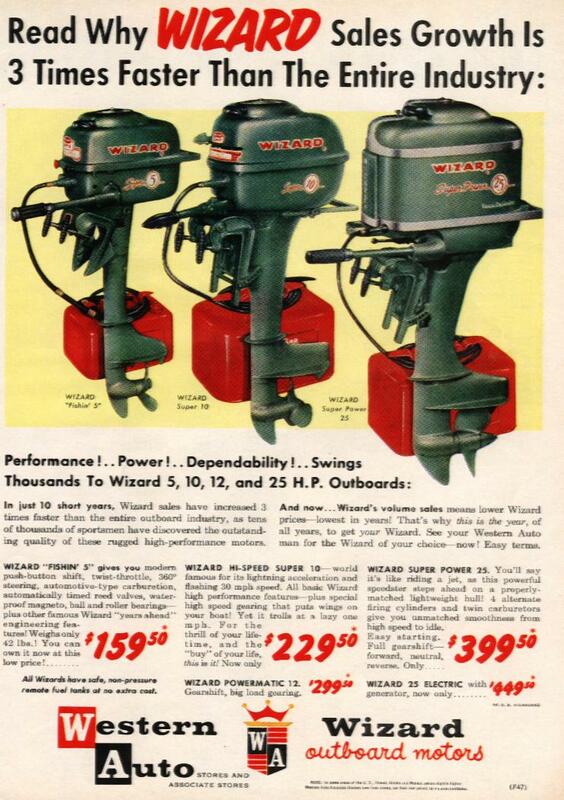 This site is about Wizard Outboard Motors. 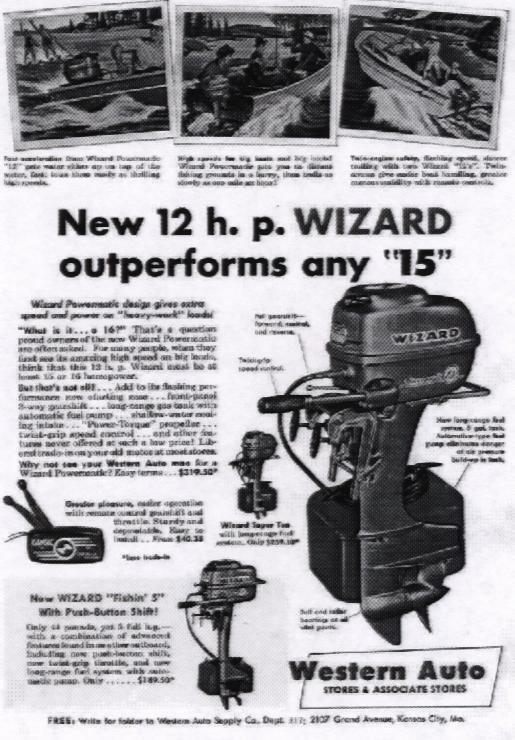 The first page features ads from the 50's. 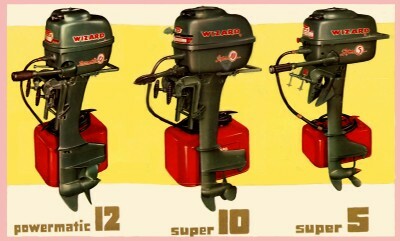 Page 2 has many pictures submitted by other owners of Wizard Outboard Motors, and Page 3 features technical data including the ability to compare your Wizard Outboard Motor to is counterpart Mercury Outboard Motor. There is also a Serial Number/Model Year guide as well. Page 4 has pictures to help aid in the repair of Mercury-Wizard-Sea King lower units. To navigate to the other pages, click on the links at the top of the page. I hope that you find this site helpful for research and/or motor project you may be working on. Click here to go to the Wizard Q&A Forum or the Wizard banner on the right.